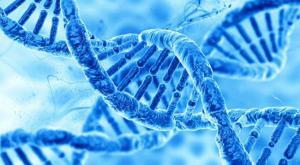 Genetic testing identifies the chance of a person to develop or pass on a genetic disorder. HYDERABAD, TELANGANA, INDIA, November 5, 2018 /EINPresswire.com/ -- The continuous evolution of medical sciences have found answers for many unsolved riddles and is expanding to reach various unmet conditions. One such solution is the development of genetic testing, which involves the identification of changes in human DNA to trace the presence of chronic genetic disorders. Over 2,000 genetic tests are currently in practice, and more are under the process of development. The Global Genetic Testing Market was valued around USD 49.26 million in 2018 and is anticipated to grow at a CAGR of 9.51% to reach USD 77.58 Million by 2023. Genetic testing is carried out for different reasons like pre-implantation genetic diagnosis, prenatal testing, carrier testing, predictive genetic testing, diagnostic genetic testing, pharmacogenetic testing, and others. These types of genetic testing do not involve any special counselor or consultant unless the choice of the consumer. Several diseases like haemophilia, cystic fibrosis, sickle cell anaemia, and other diseases can be diagnosed in the early stages with the aid of genetic testing. Increasing proportion of the aging population and raising awareness about the potential benefits of genetic testing are the principal reasons for expanding the scope of the genetic testing market. Additionally, new developments in the diagnosis, increasing healthcare expenses of the people, and the growing number of cancer patients are also supplementing the market boom. On the contrary, the expenses associated with the testing along with the lack of proper standards to confirm the accuracy are some of the hindering factors for the market expansion. The complete report for the global genetic testing market provides all the information required for the decision making and investing opportunities based on the market size, revenue, history, current trends and future predictions. It also provides the deep sights of the global market based on the type, application, and regional analysis, along with the competitive landscape. Based on the type, the market is segmented into carrier testing, diagnostic testing, prenatal testing and neonatal testing. Prenatal testing that screens the new-borns for possible future diseases is expected to expand hugely in the forecast period till 2021. Diagnostic testing that determines whether a patient is a carrier is also projected to have a large growth rate. Based on the application, the market is segmented into cancer testing, pharmacogenomics testing, prenatal testing, and predisposition testing. Of these, the cancer testing segment is estimated to lead the global genetic testing market in the forecast period. The market for screening the new-borns and calculating the probability of occurrence of diseases is expected to expand more. Based on the regional analysis, the market is studied in North America, Asia Pacific, Europe, Latin America, and the Middle East and Africa. North America is expected to contribute the largest share to the market in the coming years. In the whole world, the US possesses the largest market for genetic testing. The increasing awareness about the prevalence of genetic diseases, high awareness about the process and favorable government reimbursements are expected to contribute a lot to the growth of the market. The report also provides information about some of the leading players in the world genetic testing market. Some of them are Abbott Laboratories, Roche Molecular Diagnostics Inc., Abbott Molecular Inc., AutoGenomics Inc., Celera Group, ELITech Group, BioRad Laboratories, PerkinElmer Inc., Roche Diagnostics Corp., Quest Diagnostics Inc., Transgenomic Inc., and Applied Biosystems Inc. The future holds promise for the genetic testing market with the increasing cases of genetic disorders among the world population. Improving standards in patient care coupled with the advances in the technology are expected to create ample opportunities for the growth of the market in the following years. Existing players in the market are investing heavily in the research and development activities to increase the products and services used for genetic testing. This aggressive involvement from key players is anticipated to stimulate the rapid expansion of the global genetic testing market in the future.